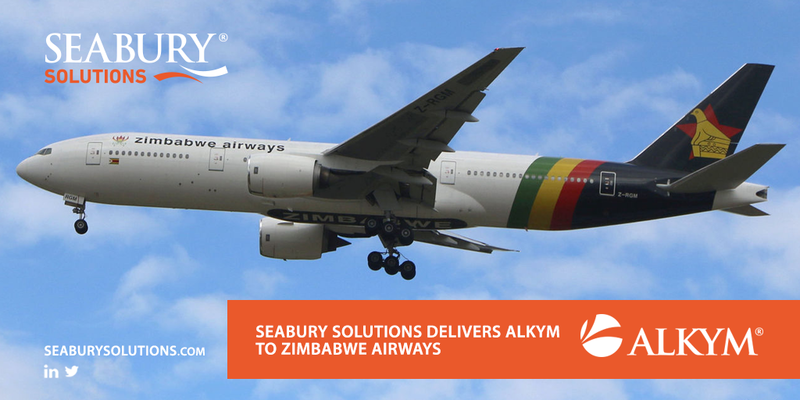 NEW YORK – Ocrtober 2, 2018 – Seabury Solutions, a subsidiary of New York-based Seabury Capital Group LLC and the market leader in providing Information Technology solutions for the aviation industry, announced today the addition of the Republic of Zimbabwe’s new start-up airline, Zimbabwe Airways, to its growing customer base in Africa’s rapidly developing aviation market. The airline will begin the certification process with the aircraft, under control of Alkym®Management and Control System for Aircraft Maintenance, with Its first of the four new Boeing 777 aircraft landing in Herrera already having its data loaded into Alkym. “Working with new start-ups is key to building our customer base and something that brings great pride to see them grow with our solution at their core,” said Seabury Solutions SVP, Head of Sales & Marketing, John Barry. Zimbabwe Airways have selected to use the full Alkym suite and will phase it into the operation as it grows and matures. With the new Mobile platform, Alkym brings its current module list to eighteen. Formed in 2018, Zimbabwe Airways has two Boeing 777 aircraft delivered from a total of four aircraft ordered in the long-haul fleet, as well as the first of five Embraer E175 jets in the narrowbody fleet in situ. It will operate from its main base in Harare, the Republic of Zimbabwe.